Saturday, February 9, 2019 9 a.m. to 4 p.m.
Free classes all day on tree & vine propagation; how to grow your own food; how to save seeds of all kinds of food plants. You can purchase fruit tree rootstocks cheaply here and then graft your own trees from our free scions. Please bring seeds, scions, cuttings, and your love of plants. This is a public service event co-sponsored by Mendocino Permaculture, Anderson Valley Adult School, and Anderson Valley Foodshed with help from the Master Gardener program of U.C. Cooperative Extension. 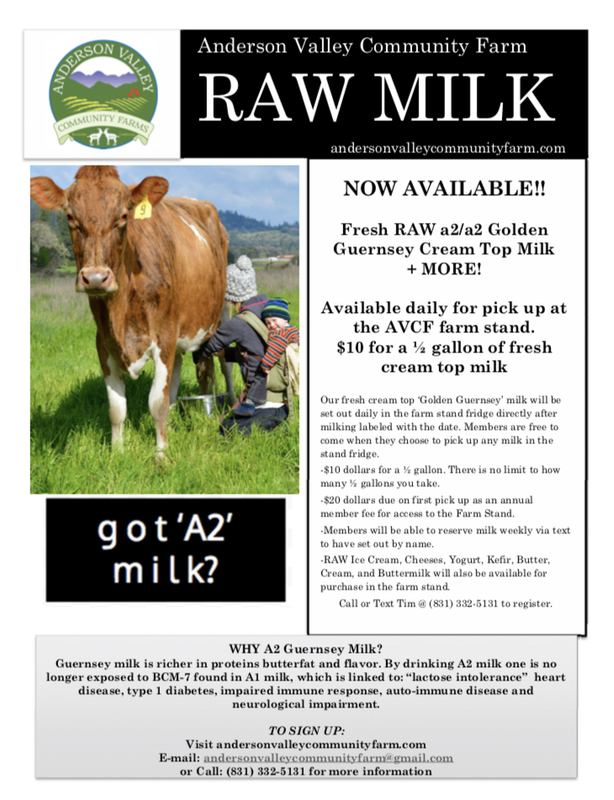 For much more information go to https://mendolocalfood.org/ (scroll down) or call Barbara/Rob at (707) 895-3897, Richard 459-5926, or Mark at 463-8672. See you there! If you can and want to volunteer this year, please contact Barbara at bgoodell@mcn.org or 895-3897.
and clean-up from 4-5 or so. Longtime organic gardening and farming family, looking for gardening and farming space. Housing on site (cabin/small house)or the ability to have a tiny home on the land or just farming land are possibilities we are considering. We have references and enjoy growing healthy food for the region and contributing to the local food supply. Skills include: land crafts, farmer's market experience, farm to table cuisine and more. Much Gratitude and Happy New Year :) farmingroots1@gmail.com.